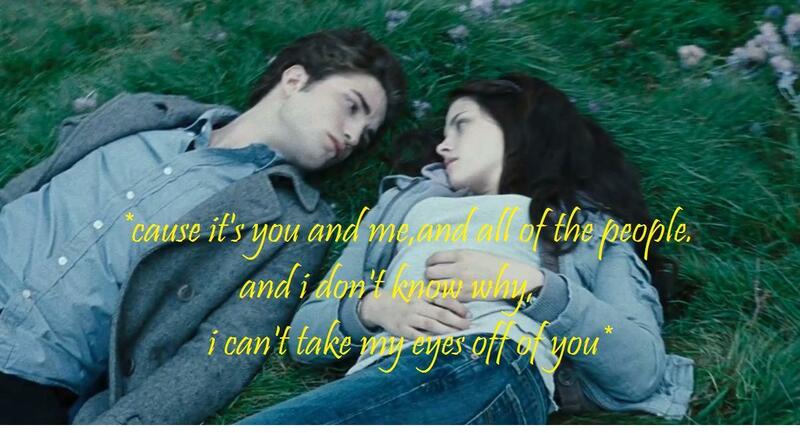 in the meadow. song: आप and me द्वारा lifehouse. HD Wallpaper and background images in the ट्वाइलाइट फ़िल्म club tagged: song lifehouse twilight edward cullen robert pattinson kristen stewart bella swan movie.